Slow Culture is proud to present “Earth People”, the premiere Los Angeles solo exhibition from artist Justin Hager. This collection of 30 new works from Hager showcases a new level of maturity from this New York based artist. Originally known for his tongue in cheek mash up portraits, Justin has been focused on expanding his horizons. Straying away from obvious puns and simpler illustrations, this new body of work introduces more complex situations and expansive genre paintings. Deeply rooted in the concept of nostalgia these works transport us to dimensions we thought were familiar, but are peculiarly new. Living in an age dominated by “artists” making a living off of internet memes and reblogging, “Earth People” exhibits a truly brilliant artist with limitless ideas. There is a clear change of focus from the objectivity of his portrait paintings to the subjectivity of his genre paintings. The complexity of the works in “Earth People” is a curious one that will stick with you like a sentimental memory from your past. It will be difficult to think of Hager’s body of work simply as a quick pun and more of a commentary on how contemporary culture shapes our nostalgia. Justin Hager is a self-taught artist living and working in New York. Originally from Bakersfield, California, Hager, moved to San Francisco, his home for many years, where he began exhibiting his work and selling out to packed houses. 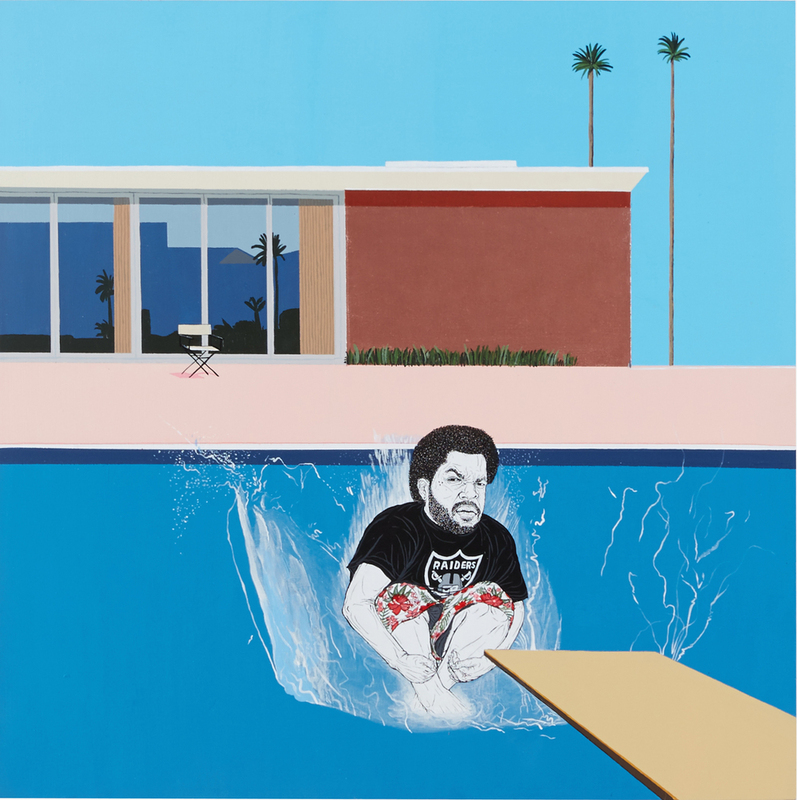 Hager’s illustrations and paintings draw inspiration from his childhood and blends the concept of nostalgia with images and memories of pop culture. Hager has participated in solo and group exhibitions in the US and Internationally, including San Francisco, New York, Denmark, England and Sweden.